We need to ask better questions, then do whatever ministry answers those questions in the best possible way. Almost none of the most common ways we hold church services is found in the Bible. 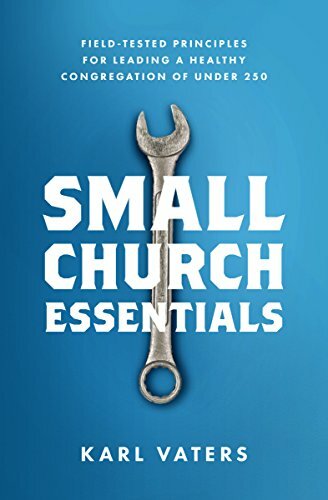 The early church had no buildings, no sitting in rows, no pastor-focused service, no guitars or organs, no Bible apps, and on and on. I’m not one of the folks who believes those things are wrong. But we need to hold lightly to all our extra-biblical systems, events and traditions. What is the purpose of this ministry? How well is it accomplishing that purpose? Is there a better way to accomplish that purpose? Church health is not about making our current ministries better, it’s about doing better ministry. If VBS is the best way to reach kids during the summer months, by all means, do it and improve it. But what if there’s a better way to do kids ministry this summer, but we can’t see it because we’re putting all our energy into making VBS better? We need to ask smart, serious, scary questions, then do whatever ministry answers those questions in the best possible way. If that means making a current ministry better, great! But in many circumstances, if we’re really asking honest questions and looking for real solutions, it will mean doing ministry in entirely new ways. This applies to everything we do, from our building to our sermons to our music. Are we trying to update a program, method or style instead of digging deeper and finding a better way to accomplish the underlying mission? If so, we need to let them go. Even (especially?) the ones that have meant so much to us. Yes, that’s hard, uncomfortable work. But the mission must come first. Because the mission, not the program, is what matters.